2 The shocking photographic project “Aids Village in Henan” depicts a community completely destroyed by illegal blood transfusions. The shocking photographic project “Aids Village in Henan” depicts a community completely destroyed by illegal blood transfusions. Lu Guang‘s photographic work, a Chinese freelancer, awarded with the W. Eugene Smith Memorial Fund at the Asia Society in New York, has always been characterized by a preponderant focus on the desperate situation of the Chinese society, forced to live in harsh conditions. In 2009 he made the photo reportage “Aids Village in Henan“, if possible, exceeding what was done for “Pollution in China“. The images below are shocking and portrayed the Wenlou community, shocked and destroyed for the case of dodgy blood donations. 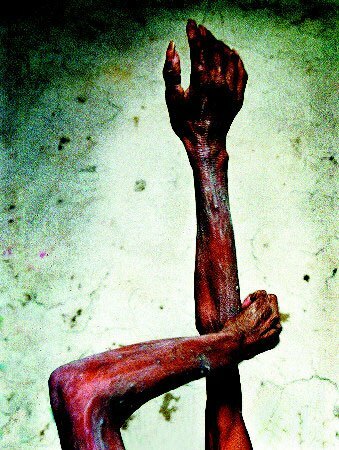 During the ’90s, villagers, trying to earn some money to help their families, sold illegally their blood. The locals contracted HIV from unclean needles at a blood drive. Out of 3,000 people, 678 have contracted the virus and 200 have died. The photographic series has also been awarded a prestigious photo award, the one released by the World Press Photo Foundation. 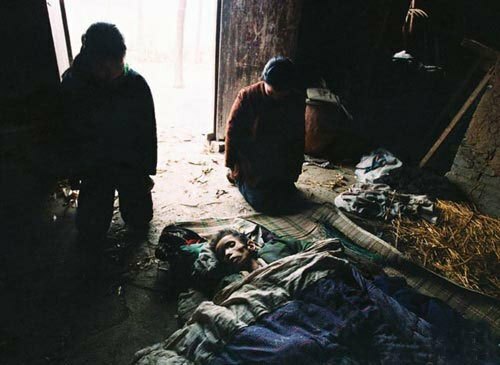 The photo group titled “Village of Aids in Henan” consists of 12 images, for which Lu Guang spent more than two years working. His first visit to this village dates back to November 2000. Thanks to his work, the extension of the country’s media, has contributed to raising a problem too often forgotten: the conditions of aids sufferers, especially those of small peasant communities affected by dodgy blood donations. As of 2017, much as changed for villagers in Wenlou. The mortality rate is now almost falling in line with the national average. No new cases of HIV have been reported since 2004.